This is a Disappearing Nine-Patch pattern in a very random and scrappy layout. 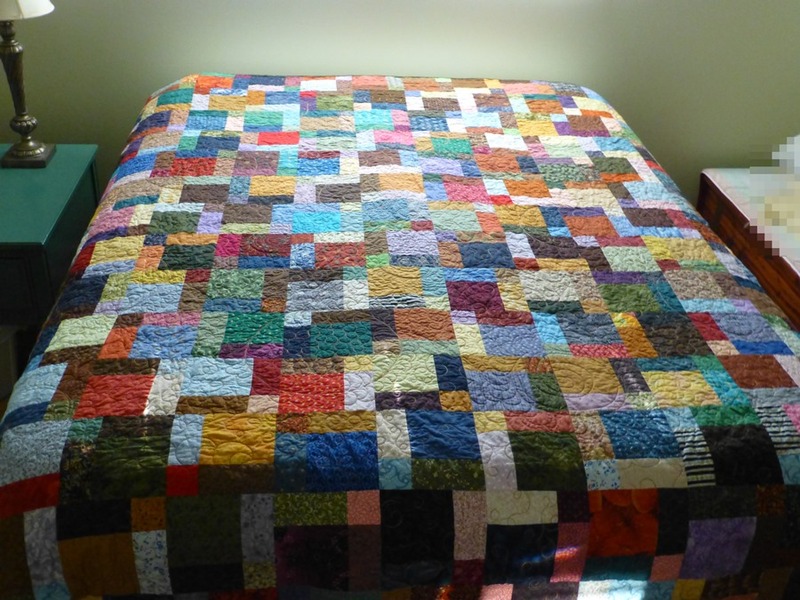 Out of the 441 squares needed to start the quilt, only a few are repeated and used more than once. The way this pattern goes together, the fabrics repeat in some places but only 4 times for 49 fabrics. Otherwise, nearly all the fabrics are different. 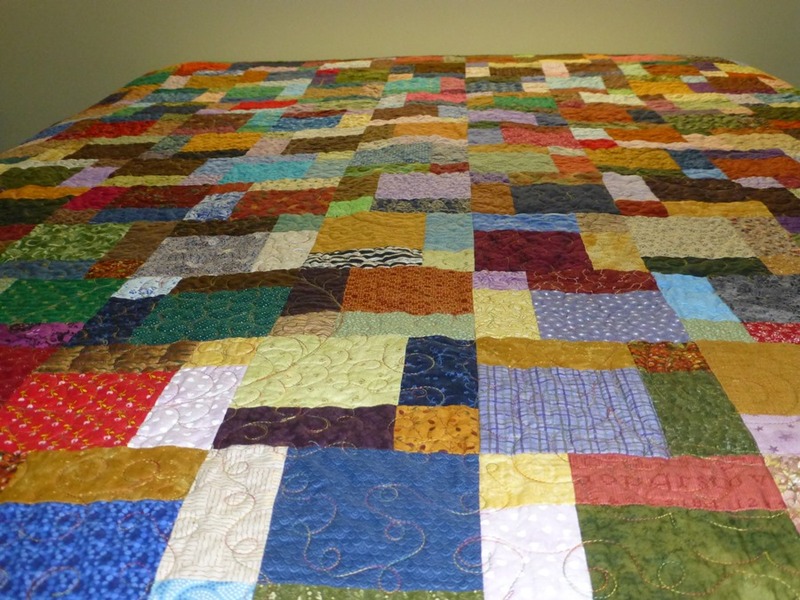 Pieced, quilted, binding on, and washed. Gold variegated King Tut thread by Superior Threads. 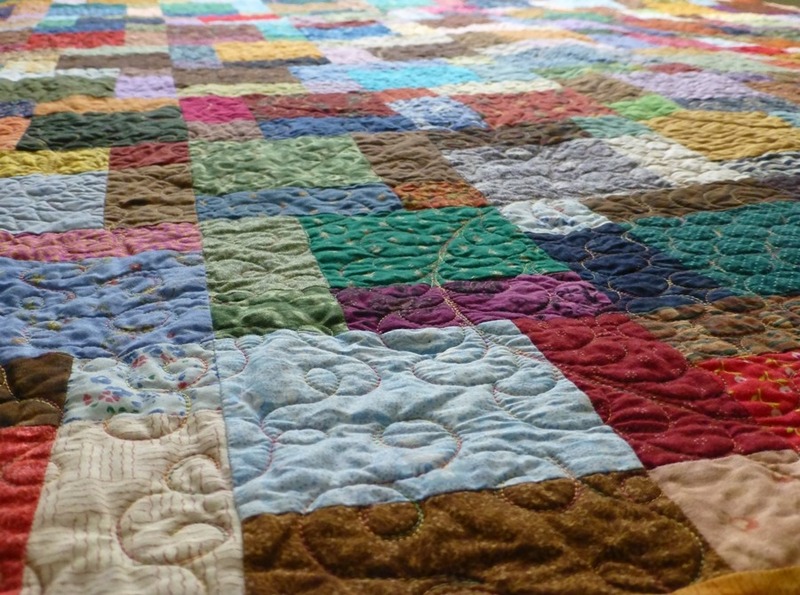 With all the squares and rectangles on the piecing, I quilted circles with hooked feathers randomly as I went along the quilt. Then I filled in the other areas with loops and spirals. One circle has a script L for the customer. I don’t know if she’s found that yet! Ready to be shipped and loved! 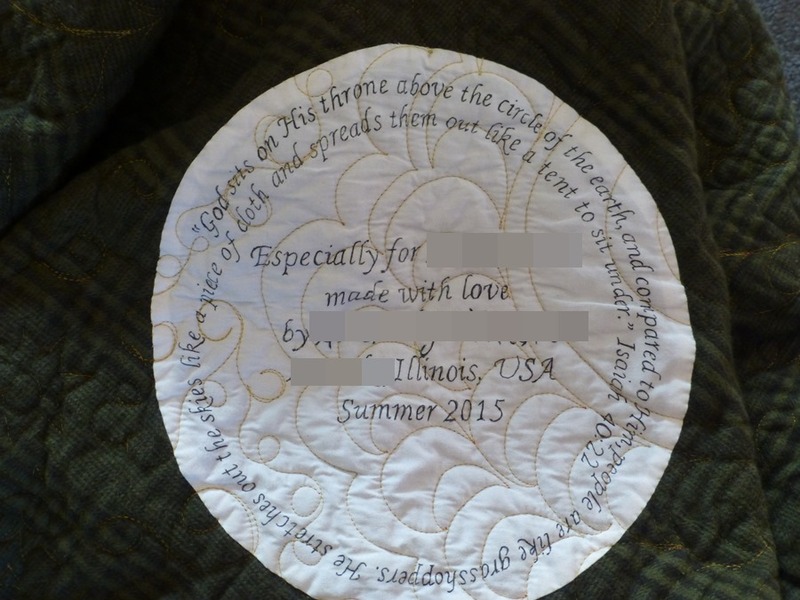 I feel like I just rocked my favorite quilt label ever! 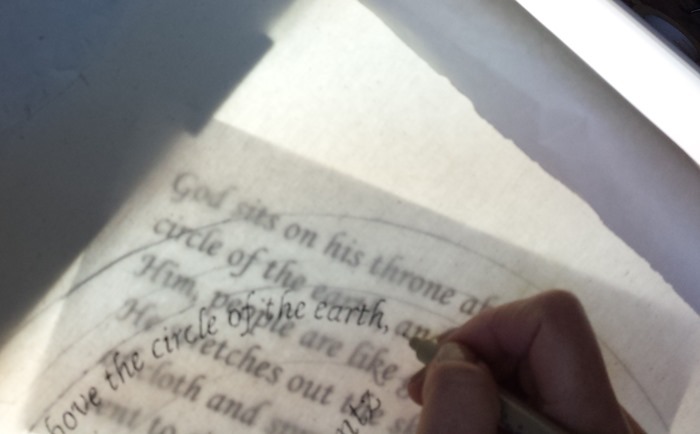 After choosing the Bible verse and doing the layout for the center for owner and my signature, I transferred the lettering to my fabric with a lightbox and Micron pigma .08 black pen. Label is heat set when I’m finished with a hot iron. 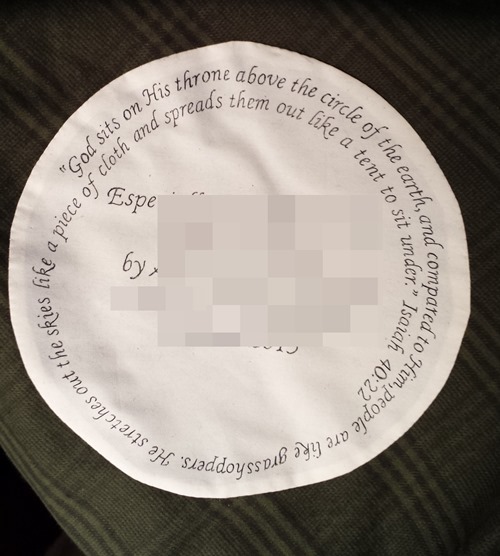 This was my first circle label so I kept needing to turn the fabric as I lettered the verse around the circle. I love it! 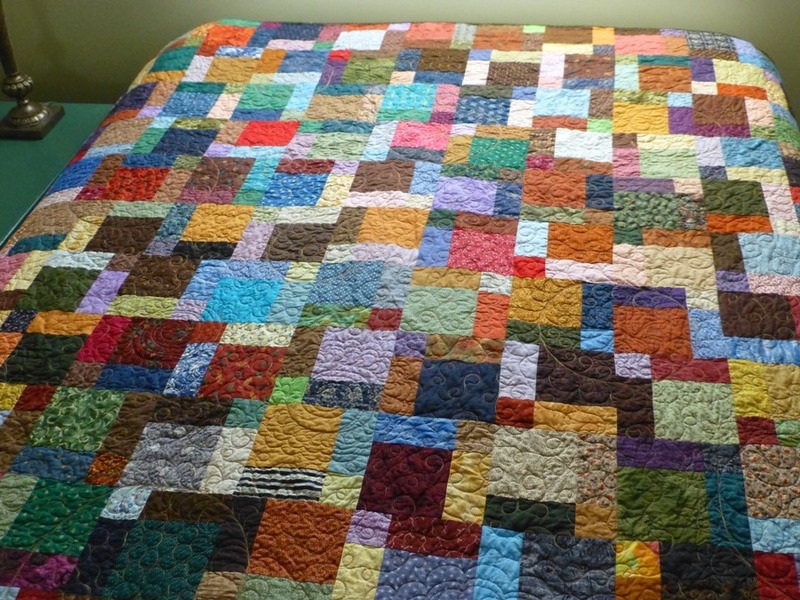 Hand-stitched with edges turned under on the backing of the quilt before quilting.